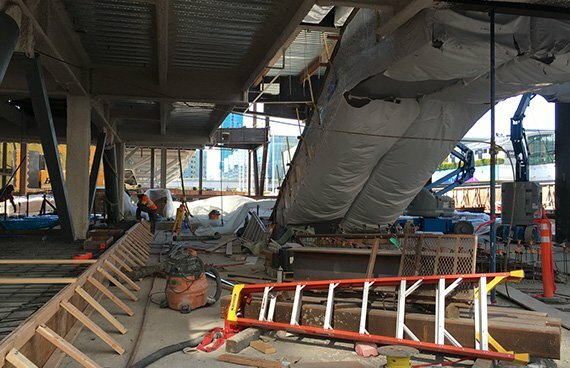 Webcor Builders used Fieldwire’s field management platform to reduce excess work and easily manage all drawings on the $500m Moscone Center expansion project. Located in San Francisco, CA, the folks at Webcor Builders like to keep their plates full. As one of the largest building firms in California, they can be regularly found in the field working on a multitude of sizeable projects. Past triumphs include the California Academy of Sciences, the SFMOMA Expansion, Lucasfilm Headquarters, and San Francisco General Hospital, and ENR recently included Webcor Builders in their list of Top 100 California Contractors - they were #5. As a subsidiary of Japanese construction giant Obayashi and with an annual revenue approaching $1 billion, it’s clear that Webcor possesses some serious construction prowess. One of their current missions is the $500 million expansion of the Moscone Center in San Francisco. At over 2 million square feet of building area and 700,000 square feet of exhibition space, the Moscone Center is one of the most popular convention sites in the United States, but it is still operating at capacity despite its great size. In an effort to increase contiguous event space and accommodate more clients, Webcor Builders has been tasked with expanding the Northern and Southern wings of the convention center, with construction scheduled to extend into 2018. 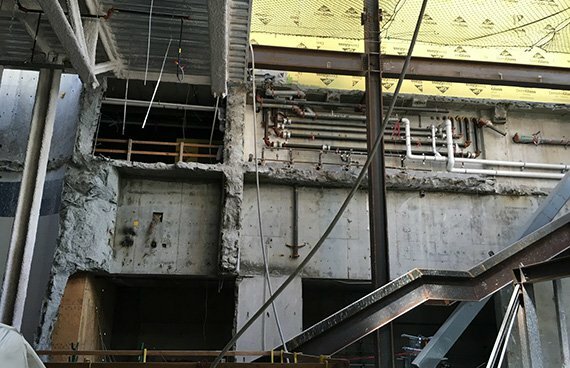 The Moscone Center Expansion, due to its layout and the fact that much of the existing convention space is still in use during construction, presents a host of ongoing challenges for the Webcor team. Matthew Watley, Assistant Project Manager, knew that he would need to run a tight ship in order for his crew to tackle such a large and tricky venture. Luckily, he did not need to rely on good fortune to keep the ship afloat. Webcor Builders, being no stranger to projects of massive scale, has the experience to successfully navigate a multi-phase project of this size. And after testing out Fieldwire, with its built-in plan management capabilities, he knew they would be well-equipped to handle the growing convention center by combining the app’s strengths with his team’s expertise. Having access to all drawings on a mobile device is a major advantage for Watley and his team, as both they and their inspectors are utilizing Fieldwire to oversee the expansion project. They can keep the latest sheets and older versions in hand while walking the construction grounds, adding markups and annotations as they go, as well as attaching tasks, photos and videos, measurements, and files directly to the drawings. The time and trouble being saved thanks to digital plan management exceeds measure for Webcor, and through automatic syncing and offline functionality, Watley’s team grows more organized and effective as they improve the convention space in Moscone North and South. Although Box integration has been available in the app for years, Fieldwire worked directly with the Webcor team to enhance the integration capabilities so that the feature was better suited to their project needs. This level of service was something special that Watley had not encountered with other construction software that his team had tried in the past. 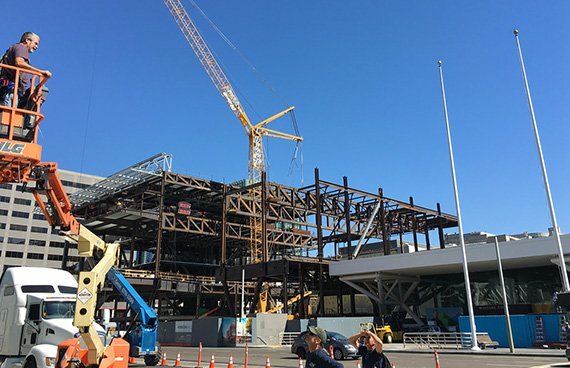 As fall begins to grow cooler, the expansion of the Moscone Center continues to heat up as it shifts into its next phase. But it’s not just the convention floor that’s expanding down in the heart of San Francisco. Webcor Builders is broadening their approach to document organization and construction management through their consistent use of Fieldwire, and seeing tangible boosts in their efficiency as a result. By using the app to handle all of their drawing sets and accompanying data, Matthew Watley has embraced an innovative tool to make each day in the field a little easier for his team.